2016: Appeared in 20 matches in all competitions for Republic FC, including 14 USL appearances ... Scored a goal ... Recorded his second consecutive season with at least 1,000 all competition minutes. 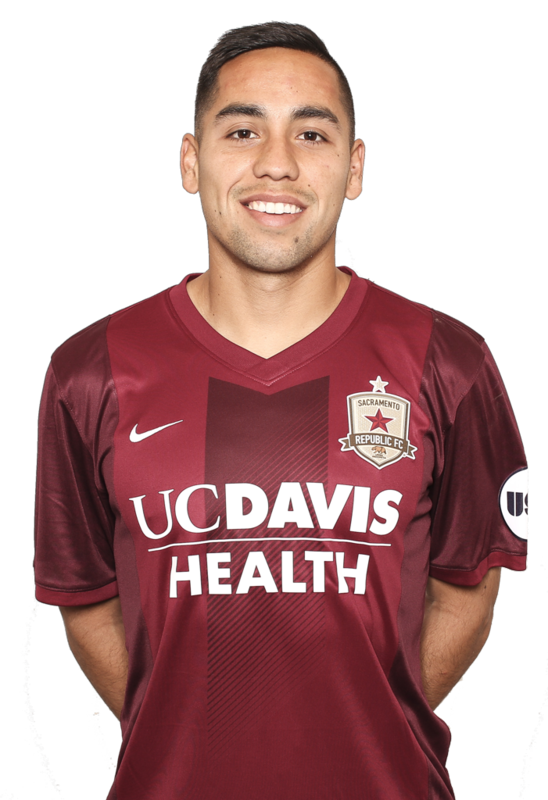 2015: Appeared in 22 matches in all competitions for Republic FC, including 16 USL appearances … Recorded a goal and an assist in all competitions … Scored his goal against Arizona United SC on June 13. 2014: Appeared in one match for Republic FC starting and playing a full 90 minutes against LA Galaxy II on September 6 … Appeared in 12 matches for Ventura County Fusion scoring a goal … Was second on the club in appearances and third on the club with 1029 minutes … Recorded an assist against Republic FC on May 14 during the 2014 Lamar Hunt U.S. Open Cup. 2011: Named to the West Coast Conference First Team … Scored four goals and recorded two assists in 21 matches as a senior. 2010: Appeared in 19 matches recording one assist for St. Mary’s College. Had 17 goals and 12 assists as a senior at Taft High School in Woodland Hills, CA … Was named to the All-LAUSD City Section First Team, All-West Valley League First Team and the All-West Valley League MVP.